Cut the hassle and let Concur help you manage the expense process quickly and accurately, from beginning to end. Do more in less time with an effortless expense process. Invest in automated expense management solutions. Let’s face it – everyone dreads tedious, time-consuming expense spreadsheets. When you automate expenses with Concur, you improve productivity, compliance and control. Just snap photos of receipts with a smartphone, and expenses nearly write themselves. Finance leaders see spending as it happens, allowing for better business decision making in real time. Say goodbye to missing receipts, manual spreadsheets and limited visibility. Expenses are far more accurate when charges from credit cards, select suppliers and receipt photos pre-populate in Concur Expense. Concur offers tailored solutions that scale with your business, no matter how unique your expense management needs may be. Submit and approve expenses more efficiently and on-the-go with our innovative tools, apps and services. Proactively track spending as it happens and gain powerful insights as your company grows with easy-to-use custom dashboards, reports and alerts. Manage cash flow by proactively controlling spend near real-time and benefit from a team of audit experts to support compliance to your unique policies. *The content of this web site is provided for information purposes only. Services vary by customer and may be subject to additional terms, conditions, and fees. Improve productivity and profitability with Concur Expense. Your organisation can easily enforce spending policies, capture receipts, process expense claims and make better business decisions based on timely, accurate data. Achieve better visibility with systems integration. Improve reporting and get a complete picture of your company spending by integrating your Travel & Expense solution with your expense and enterprise resource planning (ERP) system. Streamline expense management with e-receipts. Automatically populate expenses using electronic receipts from airline, hotel, restaurant and ground transportation. Manage expenses easily with mobile apps. Employees can capture transaction data, snap a photo of receipts and submit expenses while managers can quickly review and approve expenses. Reconcile expenses with card integration. Rest assured your data is safe. 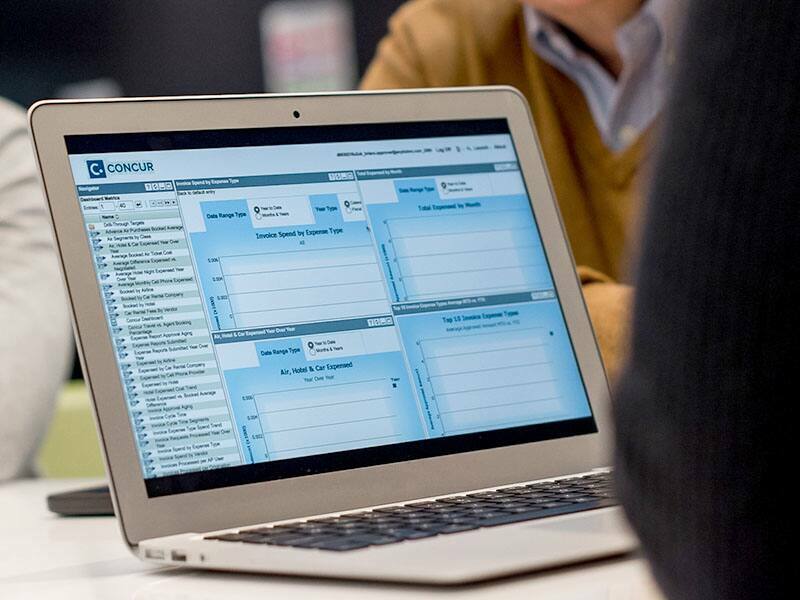 Concur is certified in and audited for compliance with ISO 27001, SOC 1 / SSAE16 and PCI standards. Please complete the form or call +61 (2) 9113 7358 so we can provide what you need for your small to medium sized business. We appreciate your interest in cloud-based expense solutions for small and medium sized businesses. A Concur representative will contact you shortly. Connect every part of your travel ecosystem so you can control your costs, simplify your booking experience and be ready for whatever comes next. See how automated solutions can make both you and your travelers happy – all while improving your travel process for better visibility and compliance.